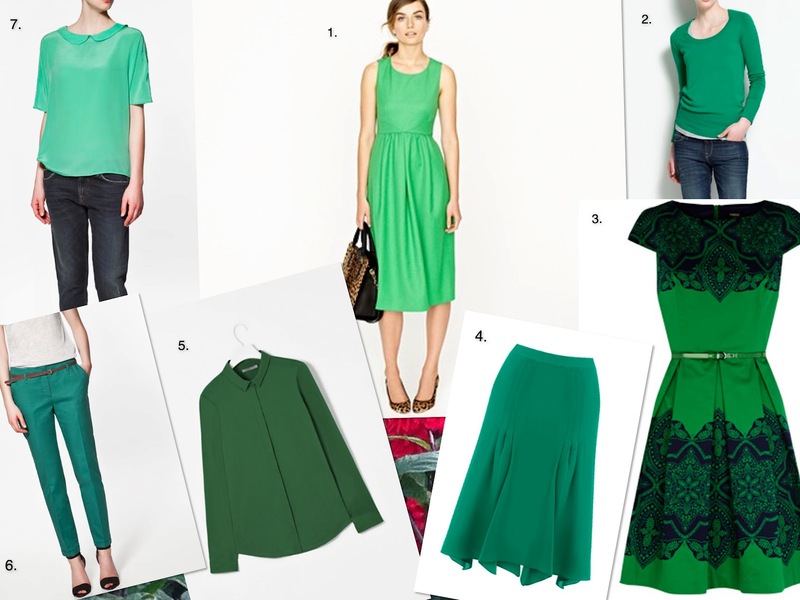 Green is very much around for SS2012. 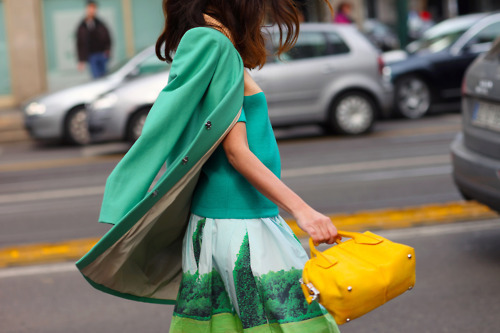 And there are so many ways to wear it, from just the splash of a pair of shoes or a handbag, to full on head to toe look. And the green we're talking about here is a strong, bold emerald green - none of your wishy washy pastels, thanks very much. It's a look being embraced for evening and day time, with celebrities favouring it for their red carpet moments, as well as many a stylish senorita sporting a more casual version at Milan Fashion Week. I love Zoe Saldana's long emerald green dress, covered with sequins, as well as Charlize Theron's more simple shift dress. Here are some high street options - the J.Crew dress is my favourite.